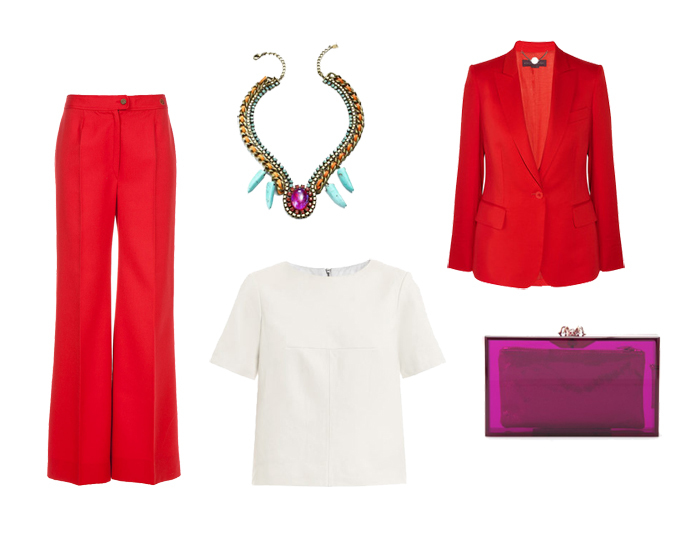 Red is such a huge trend right now - I love it! Red is going to be a trend this year!! Love this look. Red is one of my favorite color. So lovely jacket. Um a red suit......yes please!!!! Ive been dying over the red suits ever since I saw the one on Shea Marie! They're all beautiful pieces. Love these colors. Love the combination you've chosen! Beautiful!! i never see a red suit before!, but i love it anyway. me encanta el conjunto!! !Gracias por comentar, ¿¿nos seguimos? ?